Be met at the airport and transferred to hotel for check in. 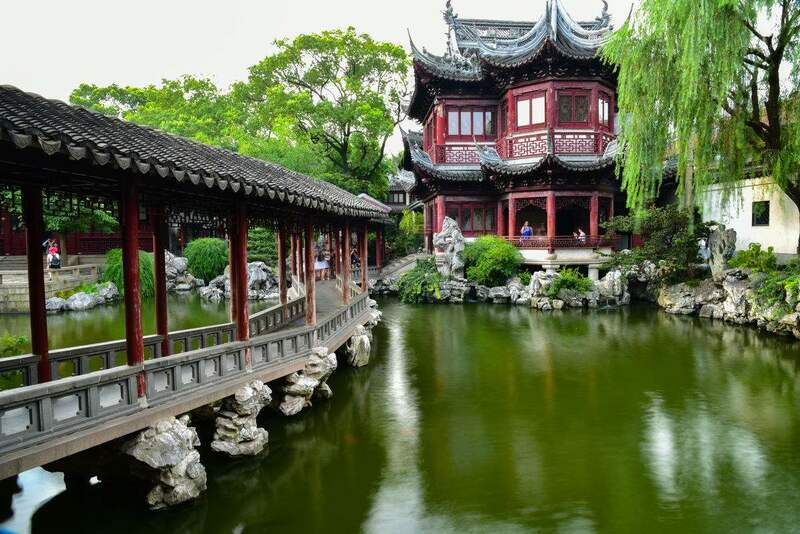 Spend the whole morning exploring Yu Garden, it features traditional architectural style of Yangtze Delta which used to be a private garden with 400 years' history. Then go to Jade Buddha Temple, the most popular Buddhist temple in Shanghai boasting 2 precious jade Buddha sculptures from Burma. Afternoon is free for your own exploration around. 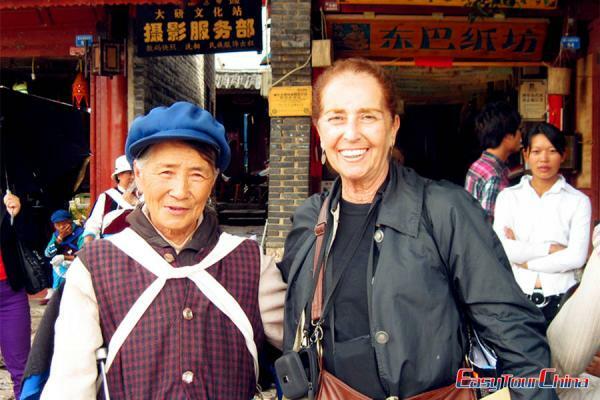 The guide escorts you to the airport for the flight to Yichang. Upon arrival, be picked up to the pier and board the cruise ship. Be met at the pier and transferred to train station. Upon arrival, our guide will meet you and drive to the hotel. Free time at the rest of the day. 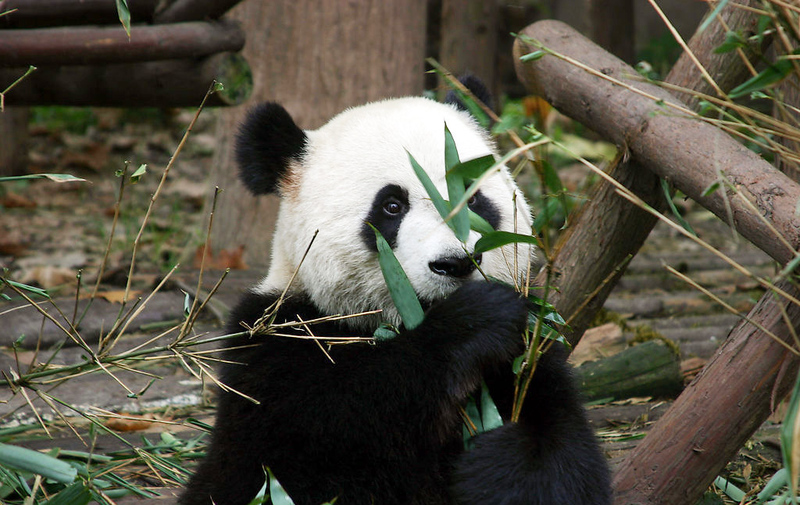 In the morning, visit Giant Panda Breeding Research Base, where 40 plus pandas as well as other endangered species like lesser pandas and black-necked crane currently reside at the base in quarters. Then, transfer to Leshan for a boating in Min River to see the Giant Buddha, which is qualified as the largest stone-carved Buddha in the world. Drive to the airport for the flight connecting to Lijiang. Be met at the airport and transferred to hotel. 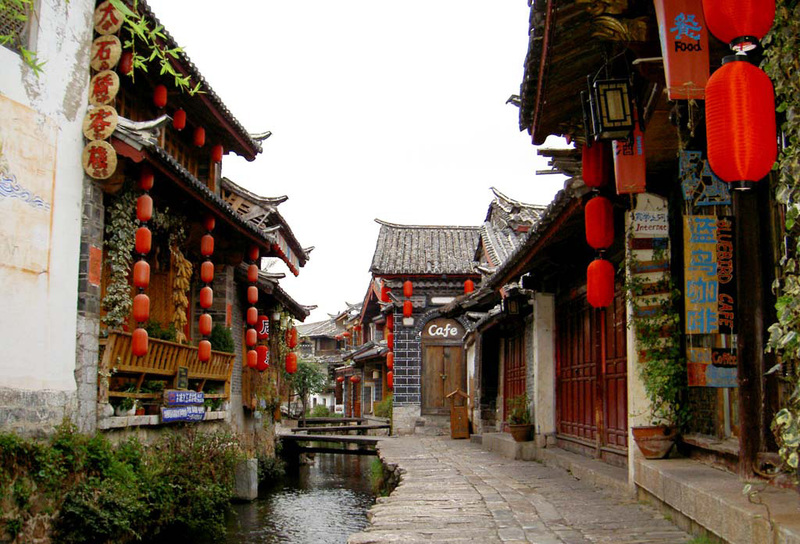 Later, visit Lijiang Old Town, originally called Dayan, it is a very well preserved old town built by Naxi people with unique cultural background. It was listed as the World Cultural Heritage Sites in 1997. Then visit Black Dragon Pool Park, located at the foot of Elephant Hill, it shows visitors picturesque scenery with a large crystal pool, luxuriant trees, a snow-capped mountain and historic buildings in graceful shapes. Free for your own exploration. 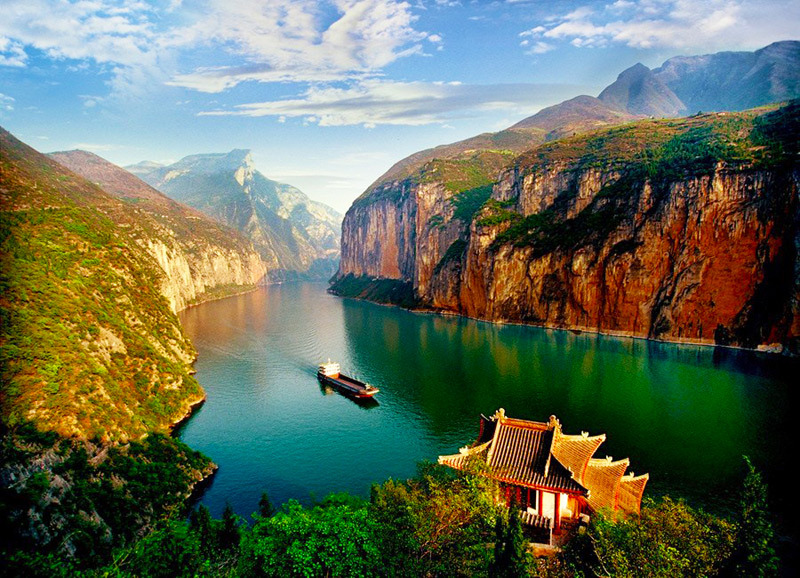 Start trekking along the Tiger Leaping Gorge, the canyon on the upper reach of the Yangtze River where offers a pleasant walk through spectacular scenery. Moreover, legend says a tiger could jump across the river at the narrowest point (still 25 meters wide), hence the name. 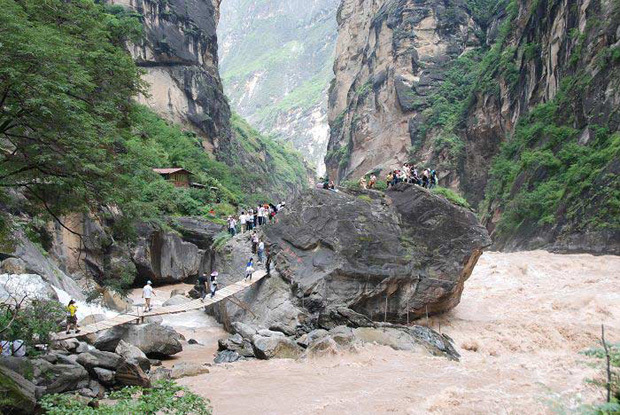 Continue trekking along Tiger Leaping Gorge. Continue the journey to Dali by private car. 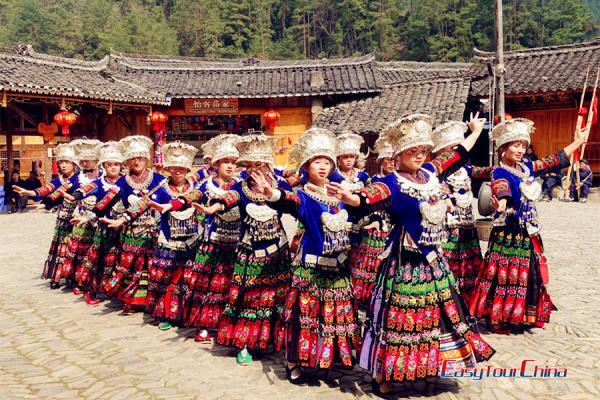 On the way, see Bai people's Residential Houses at Xizhou--the typical town with Bai's characters, the houses here are decorated with woodcarvings, colored patterns, marbles and wash drawings, which represents the masterpieces of Bai's architecture. In the morning, visit Dali Ancient Town. The town's layout was uniform, with five main streets from south to north and eight main streets from east to west, while marketplaces were neatly arranged within the town, which has remained unchanged to this date. 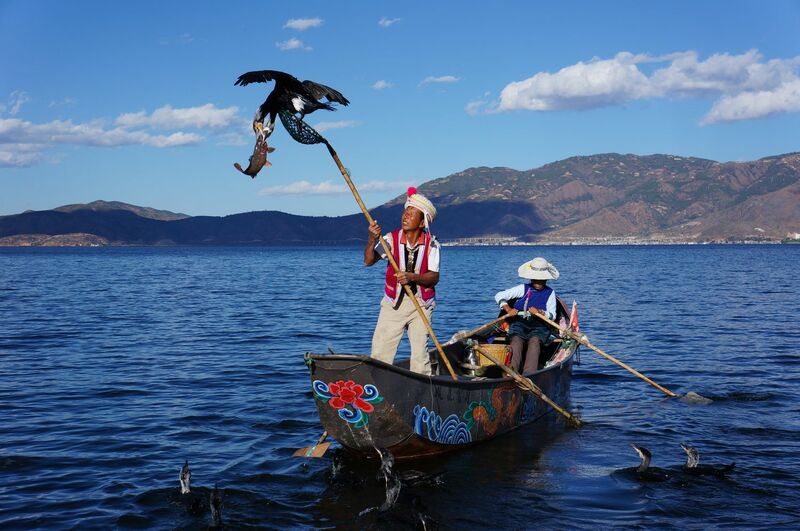 Then enjoy boating at Erhai Lake--one of the seven biggest fresh water lakes in China. Afternoon is free at leisure. Transfer from Dali to Kunming by express bus. Be picked up at the bus station and head for the Kunming airport. 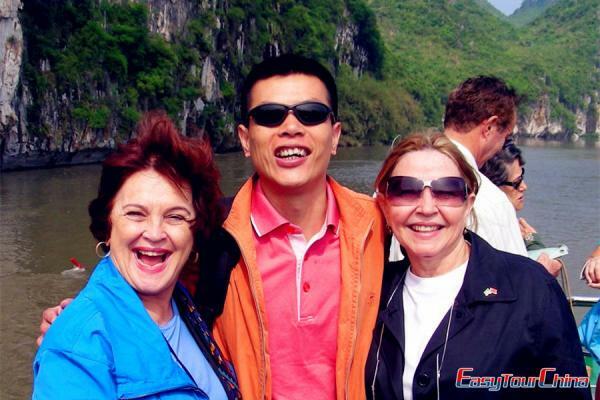 Fly to Guilin, stay at the hotel in Guilin. 3 highlights of today are: Palace of Prince Jingjiang-- commonly known as Wang Cheng (Prince City), located in the inner city of Guilin, it was originally the official residence of Zhu Shouqian, the great nephew of Zhu Yuanzhang (the first emperor of the Ming Dynasty). 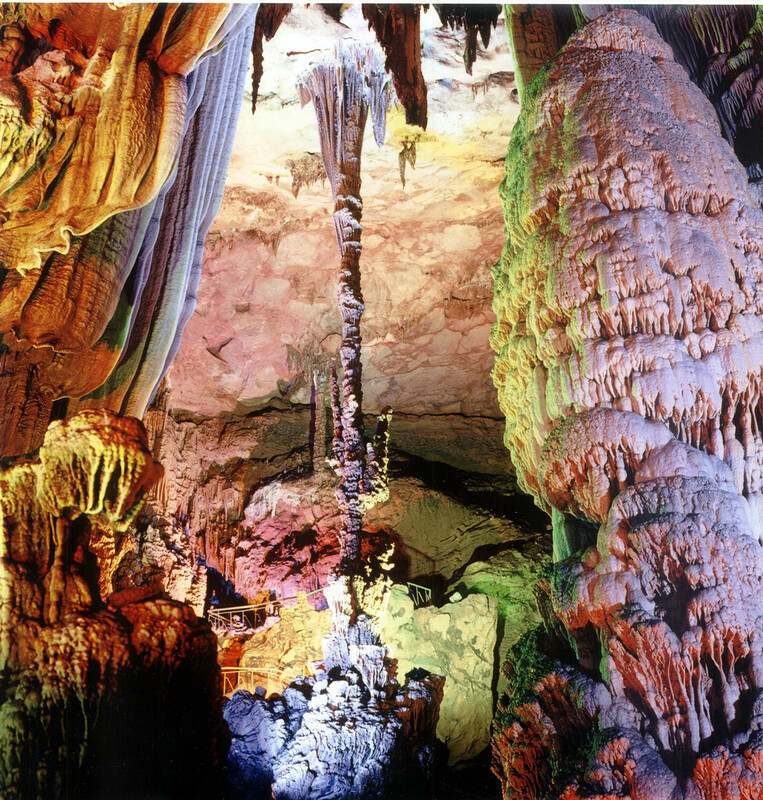 Reed Flute Cave-- known as "Natural Art Gallery", it is famous for its fantastic stalactites and stalagmites formation. Mount Yao (by round-way chair-lift)-- the highest mountain in Guilin city, which boasts brilliant natural views in different season and have a panoramic view about the whole city. Take a leisurely Li River cruise, disembark at the beautiful small town famous for its Karst landscape-Yangshuo. Have a free afternoon for your own exploration. At night, you can go to watch the optional evening show 'Impression Sanjie Liu' on the natural stage along Li River. The happy day begins by biking (2 hours) to the countryside to see the stunning scenery, rice paddies, water buffalo and local farmer's life. Enjoy leisure time along the roads. Free afternoon. 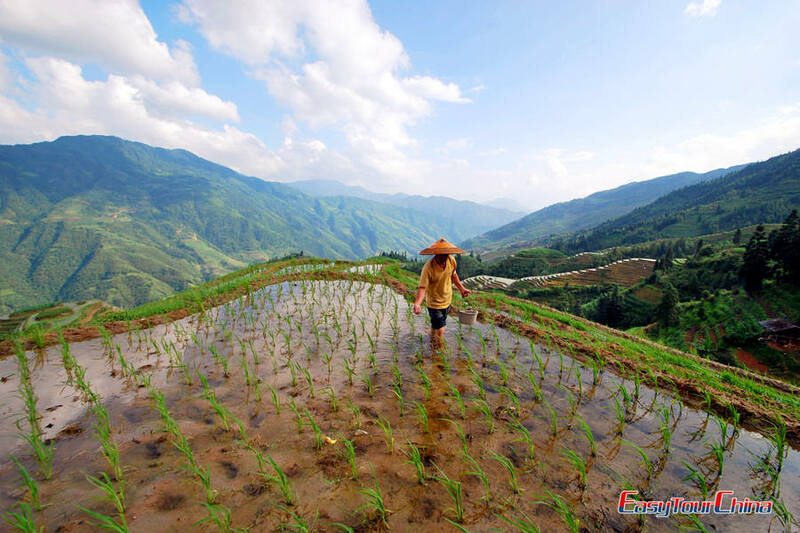 Drive to see Longji Rice Terraces via Guilin. Built into the hillsides, the terraces look like great chains or ribbons as they wind from the foot to the top of the hill. This ingenious construction makes best use of the scarce arable land and water resources in the mountainous area. Overnight at the guesthouse of Ping An Village. View the beautiful rice terraces in the morning. 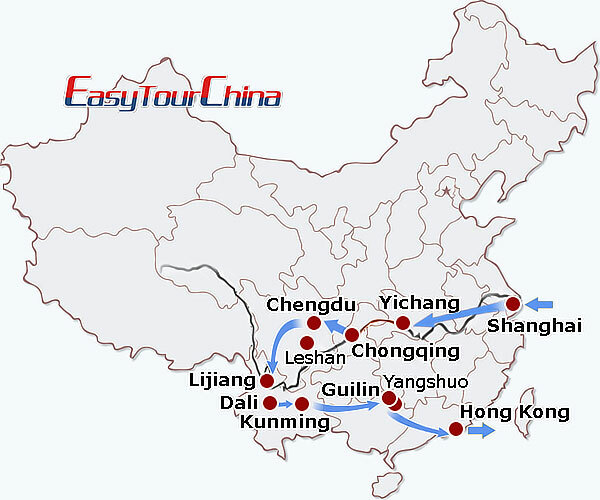 Then drive back to Guilin for your flight to Hong Kong. In Hong Kong, you can continue your trip or take the homebound flight.